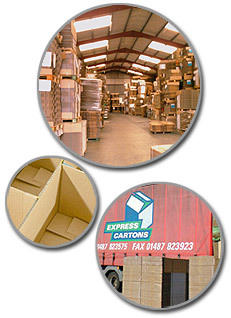 Express Cartons are one of the few companies that carry a huge range of stock. Our stock includes 1000's of different sizes and specifications of standard 0201 cartons, die cut case along with a wide range of cost effective over runs, surplus stock and once used cartons. Our vast range of stock items means that we can always find a solution to any immediate or long term requirement. If your requirements are specific we can supply you with a product to exactly match your needs. Express Cartons are able to supply any size, shape and specification including all possible die cut options. Any kind of print including litho printing is also part of our service. We provide the most cost effective production runs, ranging from a 1 box through to a run of 100,000.